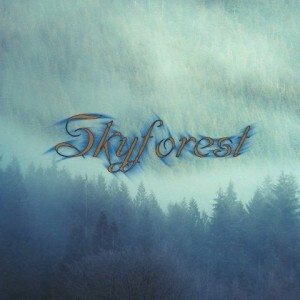 Skyforest is a Russian Atmospheric Black/ Post-Black Metal band formed in the year 2013 in Podolk, an industrial city in the Moscow oblast. 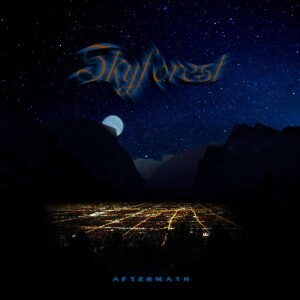 The band has released now, in 2014, the album Aftermath, featuring great names of the genre as session musicians, especially Tim Yatras of Germ fame (speaking about this, you can read an interview with this great musician and person here on Metal-Maniac). But I digress. Having as lyrical theme melancholy, I expected that I would highly enjoy this release. Of course we should always be careful with such anticipation in order not to be let down easily. Well, as I’ve mentioned on some previous reviews, I’ve always been interested in music from Russia, not only music, but literature as well. Concerning music, I usually listen to a lot of Russian Pagan and Folk Metal, but, lately, I’ve been able to get to know some great bands that plays Post-Metal, Technical Death and Doom and this is the case of Skyforest. I am in love with Aftermath. 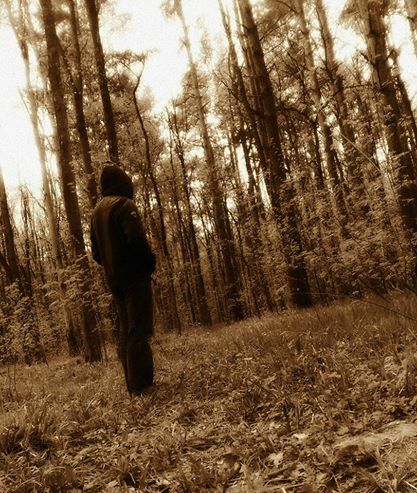 The melancholic mood, this deeply sad feeling, is one of the pillars of atmospheric music you can hear on Aftermath. This is real, my friends, honest, it feels like a Post-Black Metal While Heaven Wept (which I’m a huge fan and am looking forward to interview Tom Phillips one more time). But I’m not comparing the musical styles, but rather the, as I’ve mentioned before, the songs’ truthful melancholia. It’s just mesmerizing. The syntethized sounds, amazing vocals, both clean and harsh, orchestrations, the gloomy sounding guitars and a very tight and fit drumming contribute to create a dynamic and impressive release. I feel that there’s also some nostalgic aura as well. I guess this is up to each one interpretation. When it comes to the album’s production, I’ve got nothing to observe about it, other than it is a pleasant work. This masterpiece of solitude and beauty in sadness should be heard by any listener of this wonderful genre. Aftermath was quite a surprise, indeed one of the best albums of 2014! I close my thoughts by asking you, like I always do, to support this band. Do what is possible for you, even if it’s “just” a page sharing on your blog or Facebook page, it doesn’t matter, I truly believe that all help is welcome and needed.